I was hoping by the end of this month I would be able to say I had perfected an immaculate sourdough loaf. However I can only say I have had some mid range loafs, and I have learned a lot. 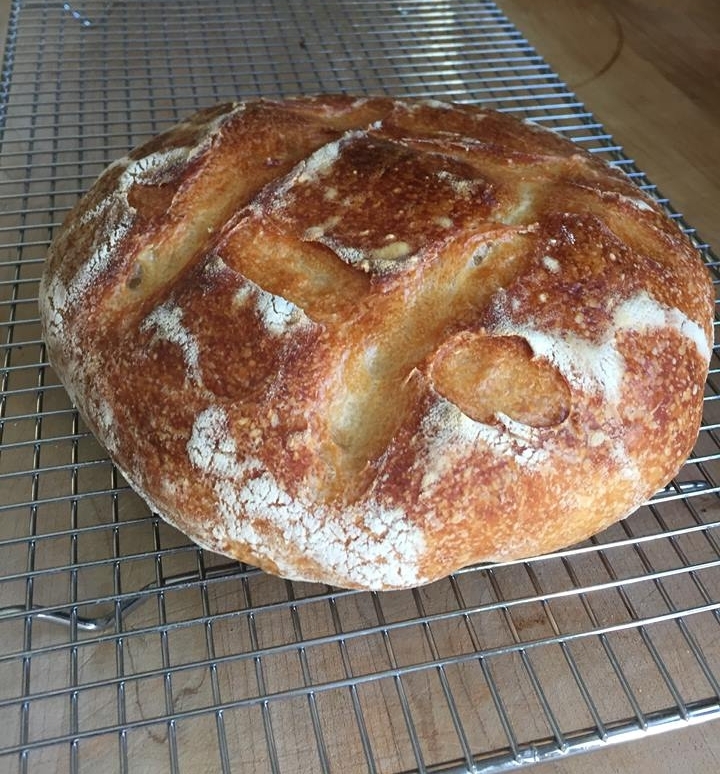 Not just about bread specifically but about failing while trying to learn something new. A quote I heard recently is "Failure is free education" which couldn't be more true. So lets say I've had a lot of free education, learning how to make bread. I thought I would pass along what I've learned so far. Here are my three loafs of bread I have made of the course of the last month. I will include the link to each recipe I used for each loaf at the bottom of the post and what I liked and disliked and some things I've picked up along the way. Loaf Number One. This loaf was created using two different Youtube videos. I enjoyed using Youtube because I learn from watching rather than reading. However the video I was watching was making bread by feel which I feel is appropriate more for people who have made sourdough before. Loaf Number Two. I used this recipe after recommendations from people who have made sourdough recommended it to me. To me this was my favorite one in terms of simplicity. They use the metric system, so it's also very helpful if you don't have a scale. Loaf Number Three. This one unfortunately ended up being very flat, yet the most labour intensive. However in terms of taste and texture it was the best in my opinion. The flavour on this one was really good.. i'm getting there people. Plan Ahead. Making Sourdough takes about 24 hours, so plan accordingly. Give yourself enough time. The main thing I learned was to look at how long each step takes, because you truly have to plan things around. Do lots of research. There are many people who have different methods, recipes, tips. Find what you feel most comfortable with and just go for it. Buy a dutch oven. It is the way to go for Sourdough since it creates equal heat giving your bread the best possible chance to thrive. Sourdough bread is great, but the starter is the real gem. I probably don't need to tell you that, but man I really loved the cool things you could incorporate the starter into. If you haven't check out my last week of blogs. Don't be scared to try different recipes. I know a lot of people find one recipe and they don't depart from it, which is understandable but I think sourdough has incredible history so experiment.